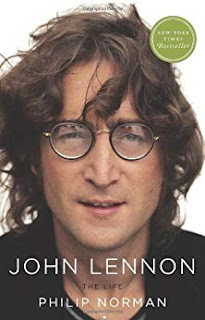 This masterly biography takes a fresh and penetrating look at every aspect of Lennon's much-chronicled life, including the songs that have turned him, posthumously, into a near-secular saint. In three years of research, Norman has turned up an extraordinary amount of new information about even the best-known episodes of Lennon folklore—his upbringing by his strict Aunt Mimi; his allegedly wasted school and student days; the evolution of his peerless creative partnership with Paul McCartney; his Beatle-busting love affair with a Japanese performance artist; his forays into painting and literature; his experiments with Transcendental Meditation, primal scream therapy, and drugs. The book's numerous key informants and interviewees include Sir Paul McCartney, Sir George Martin, Sean Lennon—whose moving reminiscence reveals his father as never seen before—and Yoko Ono, who speaks with sometimes shocking candor about the inner workings of her marriage to John.